It offers 6-8 places (maximum occupancy 6 adults + 2 children with living room with kitchenette and double sofa bed, double bedroom, one twin bedroom (double bed or twin beds) bedroom with two single beds – no window, large bathroom with shower , large terrace on the ground floor to eat outside. Please note: at the time of booking it is possible to agree on the location of the accommodation, at the time of arrival it is not possible to request to change the accommodation. 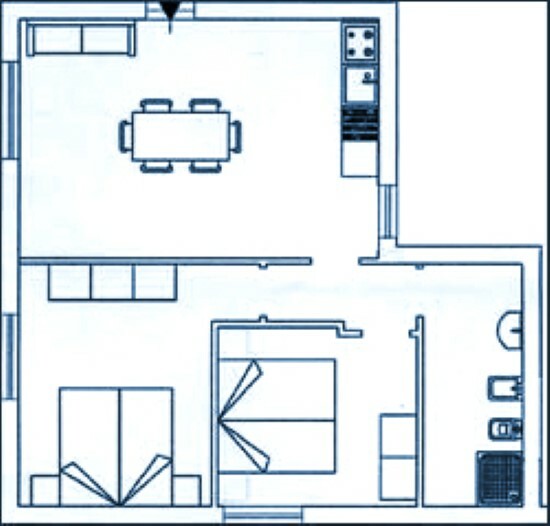 Four-room apartment 6+2: living room with kitchenette and double sofa bed, double bedroom, two double rooms, bathroom, patio. The seedlings are only indicative of the composition of the accommodation; the rooms may differ due to the location and width of the outdoor spaces. Bed linen and towels € 10.00 per person per change, to be asked for at the time of booking or at least 7 days before arrival (not present on arrival if not requested). Crib: free if brought by the client and if replacing a bed; if not the client’s or in addition to the basic beds available on request € 35.00 per week to be paid on the spot, if the child under 3 years does not occupy bed € 15 per week forfait consumption, high chair € 15.00 per week on request. Extra beds: in some two-room apartments on the ground floor it is possible to add a single bed in the living room: children from 3 years old and adults + 10%. A Special Place for Your Family! 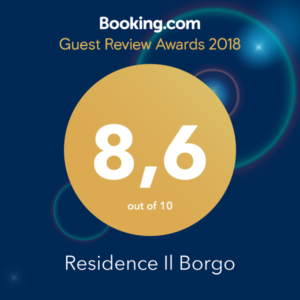 Book now your holiday at the ``Residence Il Borgo`` di Tortoreto with our well-kept apartments, equipped with all comforts in a quiet location just ideal for families and children. 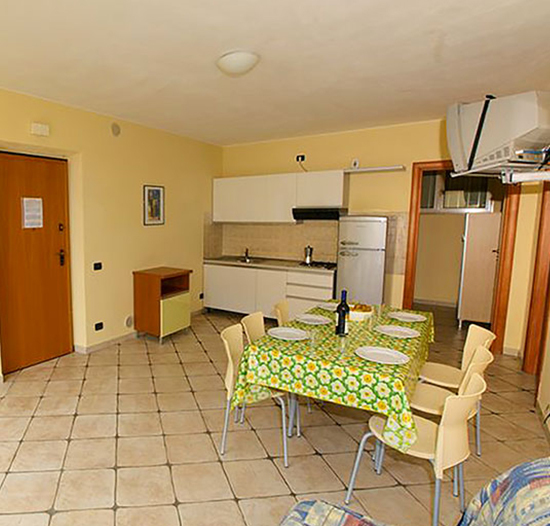 You will be contacted by our staff to propose the best solution for your holiday in Abruzzo!